Pamela Joan Mastropaolo (also a shoplifter extraordinaire), pled guilty to a felony charge of obtaining drugs by fraud (§ 18.2-258.1) in Henrico County Circuit Court. It was latter reduced to a misdemeanor charge of obtaining drugs by fraud. She was still on probation from her previous shoplifting escapades however no show cause was issued in Williamsburg/James City County Circuit Court for violation of probation. I’m sure that had nothing to do with the fact that the Commonwealth’s Attorney in Williams/James City County is a Democrat and Pamela Mastropaolo and her husband Michael happen to be big Democratic contributors, right? 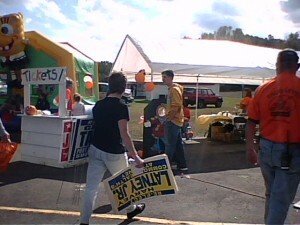 She’s also working as Latney’s campaign manager. She’s also going around claiming to be a reporter at the Richmond Times-Dispatch. According to a phone call to the Richmond Times-Dispatch’s office, she no longer works there. So, who am I to trust? The person that has pled guilty to two felonies already, or the person I talked to at the Richmond Times-Dispatch? That just happens to be the address for Harvey Latney’s office. So Harvey, why do you have someone that has twice pled guilty to felonies in your office and helping on your campaign? So Maxie, are you going to return that campaign contribution? So Calvin, ditto on the campaign contribution? 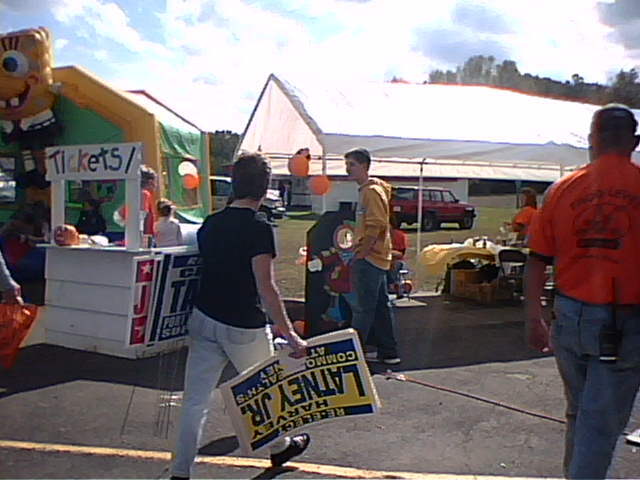 Pamela Mastropaolo helping to hand out signs for Homer Johnson, Harvey Latney, and Calvin Taylor at the Frog Level Harvest Festival. 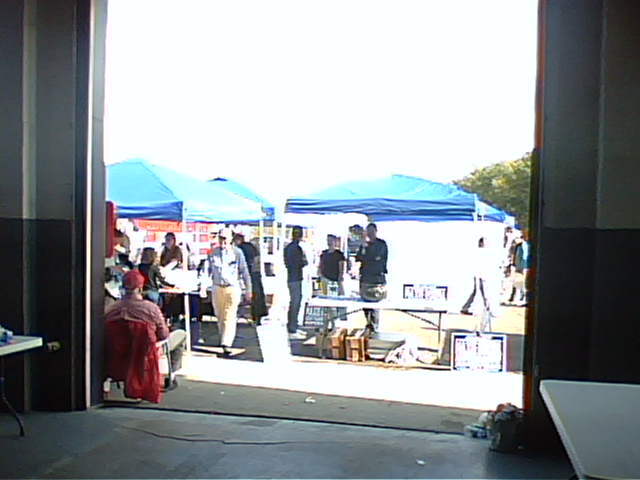 Pamela Mastropaolo (center, in the tent on the right) chatting with Maxie Rozell (right, in the tent on the right) at the Frog Level Harvest Festival. PDF of Pamela Mastropaolo’s sentencing order [social security number and date of birth redacted]. PDF of Harvey Latney’s most recent campaign contributions. Didn’t Harvey misrepresent Mastrpaolo’s address on the finance disclosure form and isn’t that fraud, since her address is in Ruther Glen. And isn’t this more Fraud when she list herself as a reporter? I thought she was a copy editor? For some reason she’s still listed on the Richmond Times-Dispatch’s website as a copy editor. But according to two phone calls to their office, she no longer works there. She’s supposedly going around telling citizens in Caroline County that she’s a reporter at the Richmond Times-Dispatch. Crap, I just saw that one page of Latney’s report didn’t get scanned for some reason (it’s missing page 2 of 2 on schedule A).